With an astounding rendition of his native Australias “Waltzing Matilda,” legendary guitarist Tommy Emmanuel records a live performance with just Apogees ONE, his laptop, and a room speckled with a few jaw-dropped admirers. Two-time Grammy nominee Tommy Emmanuel is one of Australia’s most respected musicians. Recently given the Guitar Legend Award by Guitar Player Magazine, Tommy has a professional career that spans almost five decades as an iconic performing artist. A household name in Australia, he has garnered hundreds of thousands of loyal fans worldwide with millions signing on to YouTube to study his unparalleled fingerpicking technique. With 300 shows a year over the past four years, Tommy is on the road more days than not. 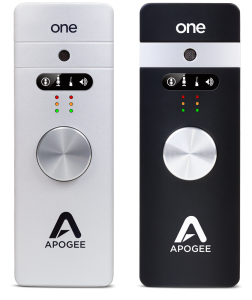 Paired with the free version of GarageBand on his MacBook Pro, his Apogee ONE proves to be the ideal traveling companion to make recording on the road feasible and hassle free. Currently on a jam-packed international tour, Tommy kindly spared a minute to delight and entertain the folks at Apogee with a live performance and recording of Australias unofficial national anthem, Waltzing Matilda. Recorded with ONEs internal condenser microphone at Apogee Studio, his performance will be sure to inspire and amaze.